A minimum donation of $50 / person is requested. Tickets are also available at the door the night of the event. Admission permitted at 7:30 pm. 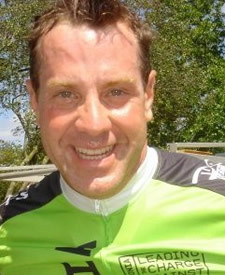 Tom Lennox, Executive Director of Pelotonia, started with the inception of the project in June 2008. Prior to Pelotonia, Tom served as Vice President of Corporate Communications with Abercrombie and Fitch, where he managed the company’s global communications practices. Tom is a cancer survivor and is leading Pelotonia, a grass roots bike tour, with one goal: to end cancer. Pelotonia raises money for innovative and life saving cancer research at The Ohio State University Comprehensive Cancer Center- James Cancer Hospital and Solove Research Institute. Driven by the passion of its cyclists and volunteers, and their family and friends, Pelotonia's annual cycling experience will be a place of hope, energy and determination. Leveraging NetJets' transformational gift, Pelotonia directs 100% of every dollar raised to research. It is a community of people coming together to chase down cancer and defeat it. Michael Tweedle, PhD is Professor of Radiology, Chemistry and Pharmacy, and he holds the Stephanie Spielman Chair in Cancer Imaging in Radiology at the James Comprehensive Cancer Care Center. He heads the Wright Center Molecular Imaging Agents Laboratory, which is focused on creation and use of new MI agents for understanding of disease and its therapy. 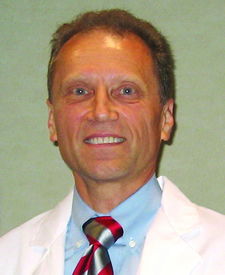 Formerly, as President of Bracco Research USA, Dr. Tweedle was the chief executive and lead scientist, providing scientific and executive leadership in invention and commercialization of new imaging agents. He was educated at Knox College (BA Chemistry 1973), Rice University (PhD in Physical Chemistry 1978) and Stanford University (NRS Fellow with Nobel Professor Henry Taube 1977-1980). Since her departure from Sixpence, Leigh released a solo album, “Blue On Blue,” as well as a Christmas compilation “Wishing For This.” In 2008, Leigh again joined with Matt Slocum to record the Christmas album “The Dawn of Grace” under the Sixpence name. Living in Nashville, Leigh is currently working on a new album to be released in 2010. We've made arrangements with The Conference Center at NorthPointe if you need to stay the night in Columbus. Mention "A Christmas To Cure Cancer" when making a reservation for the evening of December 4, 2009. Rooms are based on availability and are first come, first served basis.